BAYONNE, N.J. (WPIX) — Bayonne schools are putting metal detectors at every entrance. On Wednesday, they trained teachers and staff on how to use them. "The board decided it would be in the best interest to make everyone feel more comfortable to have metal detectors in each of our schools,” Dr. Wanko said. There are already metal detectors at the entrances to the high school, 22 metal detectors have been ordered for all Bayonne grammar schools. Dr. Michael Wanko, superintendent of Bayonne Schools, said the district installed metal detectors at the high school in 1996. High school students must show ID and security guards do random bag checks. But after the Parkland shooting, it was decided to expand security at all schools. "I think metal detectors in the school are a good thing considering the culture now,” said a parent. They’ll be placed at every entrance. All students, staff and visitors will have to pass through. Schools will also be equipped with 25 new handheld metal-detecting wands. 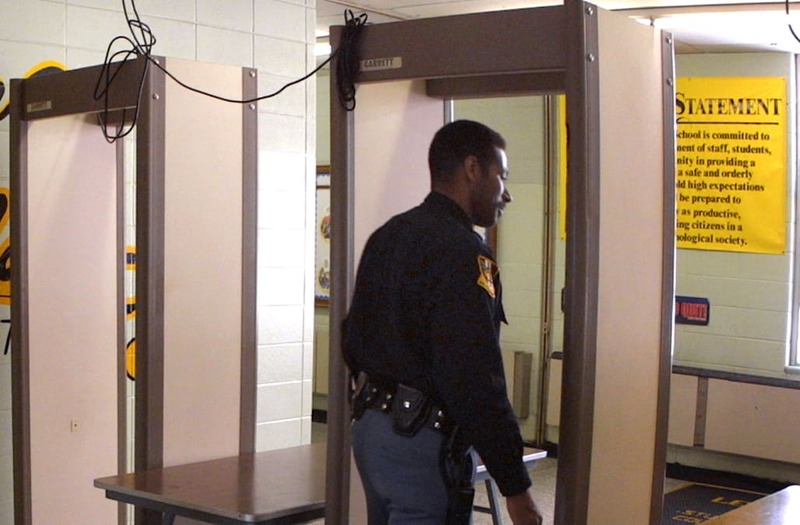 Each walk-through metal detector cost the district $3,500. Each wand runs $162. "This is just one of many measures that we are putting in place to make sure that all of our kids are safe,” said Kenneth Kopacz, assistant superintendent of Bayonne Schools. Tuesday night, Bayonne’s school board held closed expulsion hearings for two students accused of making online threats against city schools. Since Parkland, Bayonne has stationed police and sheriffs officers at every school along with extra administrators at every entrance. Students continue to do active shooter drills. The metal detectors will be in place at all schools when students get back from spring break on April 9.